Getting extra contributions on top of the entry fee. Pick any approach, or a combination of all three. Controlling the costs of running your quiz can be one of the easiest ways of raising funds from it, especially if you have a team of willing volunteers, because money that is not spent running the quiz is available for the cause you are fundraising for. Choose cheaper prizes - possibly even a certificate of achievement. (Use this approach carefully - in some cultures, it may reduce the number of people who are willing to attend your next quiz). 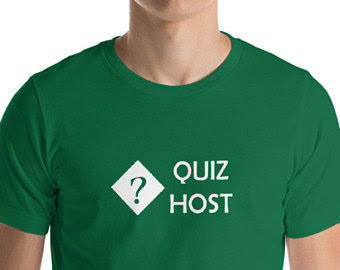 Use volunteers instead of professional quiz-organizers. If you don't have enough volunteers, look for people who may be looking to get some work experience - eg people studying event management, people who are looking for a job, immigrants who want to practise their language skills or young people who are being challenged to do a community-service project. Look for sponsorship for photocopying answer-sheets and printing posters, flyers etc. Some printing companies may offer a reduced rate if they can place advertising in your promotions materials. Or you may have contact in a local businesses who are willing to do some photocopying for free. Choose cheaper catering options (again, be careful with this because it can backfire for both on-the-night extra fundraising and for future attendance - but chosen carefully, non-brand-name items often offer very good value. The most obvious way to make money from a table-quiz is the entrance fee: and the more people who attend, the more money you will make. Working very hard on publicity, making sure that posters etc are widely distributed, and that you give plenty of personal contact/invitations. Ask the organisation that you are fund-raising for to help: they may have a network of friends and contacts who would be happy to contribute a little more if they get an evening's entertainment in return. Use a success-story from the the organisation that you are fund-raising for in your publicity, especially in press-releases and radio interviews: this adds human interest, and makes it more likely that people will feel compelled to take part. Choose a location that can accommodate lots of people, and overcome any barriers that people may have in getting there. Make the entrance fee slightly different from other table-quizzes in your area. this can encourage more people to attend because they see your quiz as being better than the others. (But don't make it too cheap, or you will simply have people who do not have any spare money at all). You may get additional money from people who attend - and from others who would like to but cannot be there, or ones who support the cause but hate the idea of a quiz night. Taking registrations days or even weeks beforehand with a non-refundable deposit (you know that some people will not attend). Offering "spectator" tickets, perhaps for a donation: This opens the event to people who don't want to take part in the quiz, or who want to make a donation but not a commitment. Running a raffle during the tea-break or at another break during the event. Selling answers to questions: this can be done either as a one off (the MC announces that the answer will be sold to the highest bidder), or as an all-night thing - you have an person who sells answers at any time. This can be an excellent approach, but it does need to be handled sensitively if some teams cannot afford to buy any answers. Asking directly for donations: if someone from the charity that are you are raising funds for is willing to speak, they may be able to appeal for direct donations. 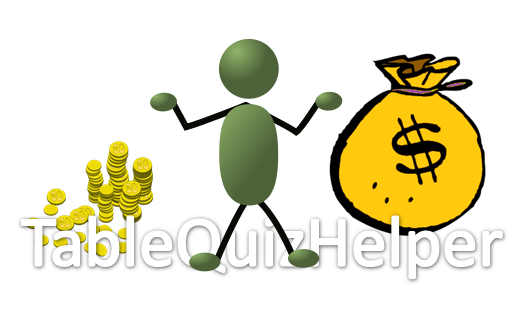 Sell sponsorship rights, or advertising space: there may be companies, not directly associated with the quiz, who would like to advertise to the participants, either on your forms, or perhaps just at the venue. Another option to look at is whether the quiz-night itself could provide some "in kind" (instead of cash) support to the cause that you are fundraising for. This can be harder to measure (eg if you are looking to prove that your quiz really was a charitable-status activity), but it can be a way to cut down the organisation's costs. There is no "best" way to do fundraising: it all comes down to the amount of time and energy you have, and the generosity of your community. What methods have you found to be more effective for raising funds at a table quiz?